The question regarding the responsibilities for the war in Bosnia and Herzegovina brings to attention the responsibilities of the international community. It requires focusing on those members of the international community who had the greatest impact on the course of events in ex-Yugoslavia and Bosnia and Herzegovina in terms of creating the conditions for the beginning of the war, supporting the ways in which the war was carried out, and, in particular, sustaining the manner in which the war was understood within the international community as well as various political and diplomatic circles. To date, a careful and open analysis of this question has been avoided. On the surface, it might appear that the international community did not have much connection with developments on the territory of ex-Yugoslavia, that the international community did not influence developments by giving support, forbidding, or criticizing specific actions of political parties involved, that the international community did not legalize particular actions and conditions that directly influenced subsequent courses of action, and that the international community did not support various political parties and eventual combat on the territory of ex-Yugoslavia. It might appear that the international community did not select particular representatives to act as mediators in these problems in order to search for answers on these matters, that the international community did not organize conferences and meetings in order to find solutions to the problem of armed combat and war, and that the international community did not itself chair commissions, departments, and committees to bring about decisions that directly impacted the results of the war. On the surface it might appear that the international community did not send troops into the country, for example, Bosnia and Herzegovina, with missions in that country that the international community alone selected, that the way in which actors behaved in this context and made things happen in our country (as well as other countries in the region) were autocratic, without connections, influences, or decisions from the international community, that is, as if their deeds were something happening on Mars and not in the heart of the Europe. We, though, know that matters were completely different. The international community, especially the United Nations, its Security Council, the European Community, and various countries that were most influential in these matters when it came to questions regarding Bosnia and Herzegovina (namely, Great Britain and France in the beginning and during the course of the war and, in the final phase, the United States regarding the peace agreement before Dayton and then the Peace Accord in Dayton) were always heavily involved. Instead of being silent or discretely pointing out isolated events, it is my intention to answer and look at this question from the viewpoint of historical facts and measure the enormous responsibilities of the leading powers in international politics for beginning this war. The particular ways in which actions were taken to stop the war and achieve a just and long-term peace (which should have been the goal of any rational and justifiable action) were utterly catastrophic. States), had a key role in fermenting the political conflict that led to the disintegration of ex-Yugoslavia. That role was defined by the strategy of world capitalism and the West, led by the United States, to collapse communism from the inside and not from the outside, focusing on communist countries’ internal troubles, primarily their economic hardships, and exerting pressure on them regarding the issue of human rights. Another aspect of the international community’s role in creating conditions for destroying communism in Yugoslavia can be viewed through the role of the countries of the Western bloc in the internal affairs of the country. The international community supported movements that resulted in a weakening of the internal relationships within the country (consider, for example, Richard Nixon’s provocative speech during his visit to Croatia in 1971). 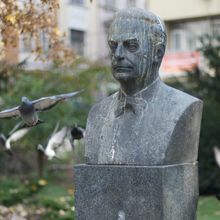 Another example of support was the reform movement under the leadership of the last prime minister of the government of the Socialist Federative Republic of Yugoslavia, Ante Marković, who promoted the reform plans created in Western economic and political laboratories. Under the leadership of the economist, Jeffery Sachs, Marković launched plans for abandoning communism and establishing the institutes and practices of economic relationships specific to neo-liberal capitalism. When it came to the internal crises of the country, particularly when it was obvious that the main cohesive power of the state was falling apart and that the Communist Party of Serbia led by Slobodan Milošević was rising, Western diplomacy started to interfere by projecting future developments in terms of various concepts of separatism and by promoting republican powers, which were potentially against communism, Serb control over the whole Yugoslavia, and Milošević. All of this, of course, led to the dissolution of the state. In this regard, Milošević himself was helping the international community, since he conducted a policy that had in mind the destruction of Yugoslavia—only his tactical goal was to create a Greater Serbia out of a destroyed Yugoslavia within the borders defined in the well-known Memorandum of the Serbian Academy of Sciences and Arts. This concept of Serbia was based on Serbian ethnic territories as the territories that the Ottoman Turks had reached in their western advance, namely, the boundary line going from Karlobag on the seaside up to Virovitica on the river Drava, and rivers Kupa and then the line along Sisak-Bjelovar. In this way, the strategies of the international community and Milošević came together. On the one hand, the strategy of destroying Yugoslav communism, which was considered as one of the strongest of all communist regimes in Europe, and, on the other, the strategy of Milošević, who wanted to destroy Yugoslavia through internal destabilization, where Serbia would be the clear winner. After eighty years of being Yugoslavians, the Serbs would be able to assert the hegemony of a Serbian nationality and Serbia throughout the region. Given this general political situation in Yugoslavia created at the end of the 1980’s, international politics supported secessionism, not speaking out so as to provide a clear definition of events, but deciding instead to wait till the end and then benefit from the foggy direction it had nurtured. I was a witness to the cynical position that many representatives and even some ambassadors from important countries of the West in ex-Yugoslavia had toward Milošević’s regime. I was present at a meeting with the ambassador of the United States in ex-Yugoslavia, Warren Zimmermann. 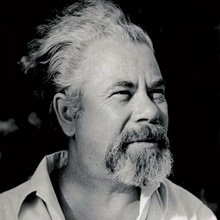 The meeting was held in 1991 in Sarajevo, where Zimmermann strongly criticized Milošević, characterizing his politics as criminal, a point on which I agreed. Zimmermann furthermore stressed that it was not possible to obtain a satisfactory agreement and stated that the only viable solution to the problem was disarmament. Following a general silence, I asked the ambassador a question, since I agreed with him: Was he was aware that the Serbs and the Yugoslav People’s Army would most probably attack our country (which would mean, at the same time, that our country would need to step out of Yugoslavia), and, if so, what would the United States do? Zimmermann responded that the United States would support us. When I asked him what would the United States do to support us, for instance through resolutions, declarations, humanitarian aid, or with weapons, he did not respond. It then became clear to me that the one thing we would need was the one thing we could not expect. My assumption was that they are pushing us into secession. When the situation, however, would turn out badly for us, they would not help us and we would remain alone on the battlefield. Unfortunately, this is what happened. The representatives of international politics, that is, the European Community and several influential countries of the West, mainly Great Britain and France, pushed several Yugoslav Republics to secede. With such actions, the European countries and organizations created the conditions from which it became impossible to avoid war. When the war finally started, the cause for the fighting that the Serbs themselves espoused was the international community’s recognition of Bosnia and Herzegovina as an independent and sovereign country and its acceptance by countries in the United Nations. At this point, however, the countries in the United Nations looked upon events in Bosnia and Herzegovina as if they had nothing to do with the decisions that determined these events. First, these countries encouraged the establishment of newly created countries, among them being Bosnia and Herzegovina. Then, they tacitly supported the trumped-up and contrived case provided by Serbia for its attacks. The countries in the United Nations did not intervene decisively, acting instead as if the war was not happening in Europe at all. These European countries, however, knew well that Milošević had been preparing to attack Bosnia and Herzegovina; they knew well that such an attack would bring war and many casualties; they knew well that it was their moral obligation to help the country that was to be attacked. They, however, did not. The European counties did not do anything to deter the preparations for the attack, and they did nothing to stop the attacks when they began. In the case of the war between Serbia and Croatia, the European countries acted quite differently. They stopped the war when it became obvious on the field that there would be no solution to that conflict, and in this way they at least stopped the bloodshed, which helped Croatia to prepare its forces for its defense and liberation from the Serbs. In Bosnia and Herzegovina, they instead let the war develop and escalate into a three-sided war, only after which they began to provide some detailed peace initiatives and measures to stop the war. In the meantime, they let the aggressors carry out almost to completion their goal of ethnic cleansing and the destruction of a country. The international presence was limited to large military forces that were simply to observe and to witness the war instead trying to stop it. 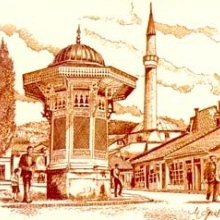 It is not possible to state that the plan by the active parties in European politics to divide Bosnia and Herzegovina and to disable the functioning of Bosnia and Herzegovina with the guiding political role of Muslims (who comprised fifty percent or more of the population) was accidental. Events that happened later support this argument, in particular, the roles of the French generals and Dutch troops in the protected areas in Srebrenica, Žepa and Goražde, where the European countries heartlessly gave over territory to the Serbs and allowed the Serbs in just a few days to murder 11,000 people. When the war broke out, the political players and decision makers who had participated in the recognition of Bosnia and Herzegovina and its acceptance in the United Nations knew that everything that was done was legal and legitimate so that the war in light of these facts was absolutely illegitimate, that it, in fact, constituted a criminal act of aggression. But they did not act in accord with this knowledge. They let the war go on and take on grotesque proportions; they acted only when the world’s public opinion was horrified by the Serbian crimes committed in Bosnia and Herzegovina. Before the summer of 1992, four months before the war and aggression started, there had been no adequate reaction apart from some sterile and unsuccessful United Nations resolutions demanding negotiations and the cessation of war, resolutions by which the aggressor was warned only by political and economic measures, not by military threat. Immediately after the whole world found out about the horrors of the Serbian genocide of the Muslims and Croats, particularly in Bosanska Krajina, close to Prijedor and Br?ko, the international community took stronger action, arranging the London Conference, hosted by the British Government and the United Nations, on August 20, 1992. Participants at the London Conference heard many reports from the field with information gathered primarily by the secret service, satellite observation, and covert surveillance of communications. These reports exposed the aggressions and crimes committed in Bosnia and Herzegovina by the Yugoslav People’s Army and Serbian formations. The question of the war’s character as well as the question of who started the war, who was leading the war, and what methods were being employed was absolutely clear. Confronted by such findings, the international community and its leading countries could not avoid the need to confront the aggressor; they named the aggressor as the regime of Slobodan Milošević and his followers in Bosnia and Herzegovina. The London Conference agreed that Bosnia and Herzegovina must be returned to its previous state. In order to solve the matter quickly a committee was created, overseen and led by Cyrus Vance and David Owen, who recently received the title of Lord. Both of those co-presidents were former ministers of foreign affairs – Vance of the United States and Owen of Great Britain. The beginning for discussions on the establishment of peace was arranged in the middle of September in 1992. I was present from the beginning to the formal if not the actual end of the London Conference held on August 20, 1992 and a member of the delegation of Bosnia and Herzegovina that conducted peace negotiations on behalf of its legitimate government. Due to this position and active role I had during negotiations, I bear witness that these negotiations did not have as their main end to establish at the very least the temporary and efficient cessation of hostilities so that the many civilians surrounded in cities could be protected. These negotiations did not have as their most important goal to stop the Serbian aggression against Bosnia and Herzegovina and the killing of people and the destruction of their property, since those killed were exposed to the attacks of a well-armed and well-prepared army and were themselves unarmed. These negotiations did not have as their basic goal to bring about a peace accord heeding the conditions defined by the London Conference in 1992; they did not insist on forcing the aggressor to stop and did not create harsher conditions for the aggressor for failing to stop. These negotiations instead were led by some totally different strategy and were not faithful to the initial London Conference decision, which consisted of peace agreements based on discussions on the constitutional-legal development of Bosnia and Herzegovina and moving forward toward peace and achieving a long-term and effective cessation of hostilities. This goal did not become the subsequent task of the negotiators following the London Conference or negotiations that developed around them. Instead, the negotiations were as if they had not been about a country that was attacked from the outside and destroyed from the inside with the help of internal forces. The negotiations were not from the position of Bosnia and Herzegovina as a legally constituted country. Instead, the dominant point of view was that Bosnia and Herzegovina was a country without tradition or law. It is still not clear whose influence decided to reframe the course and strategy of the London Conference. One assumption is that the governments of Great Britain and France had the greatest influence, mainly their leaders, Francois Mitterrand and John Major, since they held the reins of the London Conference and oversaw international actions in Bosnia and Herzegovina. This assumption is supported by the actions of Mitterrand. After his one-day visit to Bosnia and Herzegovina and Sarajevo, he irresponsibly and indifferently declared that the circumstances of the war in Bosnia and Herzegovina were not a political and military matter for Western countries but only a humanitarian matter. He stipulated that the Western countries should accordingly restrict their help to humanitarian action. This was Mitterrand’s response to the pressure of the European and world public that demanded the intervention of Western countries, since the war was obviously the aggression of a genocide in the center of Europe. Europeans watched nightly as in their vicinity neighbors were killed and houses were burned, and Europeans did everything they could to forget their tragic history under Nazism. The product of that event was the horrible and immoral action of establishing the United Nations Protection Force. The manifest role of the troops was for the protection of peace, but their latent and primary function was to safeguard the war and allow Serbs and other aggressors (who would come later) to finish their acts of genocide. Since this policy incited further aggression and showed the aggressors that the motivation of the international community was not to stop the aggression and genocide, it can be said in full truth that there is direct responsibility on the part of these European countries for the war in Bosnia and Herzegovina. Now it is possible to say that their responsibility was greater than their responsibility at the start of the war. It is now clear that these countries did not want to do anything effective to stop the war and they conducted useless, pointless negotiations in Geneva, creating the illusion of serious negotiations. These countries did everything in their power to help the aggressor, particularly by creating an embargo on supplying weapons for the government of Bosnia and Herzegovina, thereby establishing a predominance of weapons for the aggressor. For this reason, the European countries aided and abetted a horrible, tragic, and genocidal war. Three years were spent in negotiating peace, considering different plans for a constitutional-legal reorganizing of Bosnia and Herzegovina, while a war against a sovereign, independent country went on unabated. These actions led to the tragic consequences in places such as Žepa and Srebrenica, as well Prijedor, Brčko, Goražde, Maglaj, Zvornik, Čajniče, Foča, Mostar, Stari Vitez, Gornji and Donji Vakuf, and then the three-year siege of Sarajevo and other cities in Bosnia and Herzegovina, in which thousands of innocent civilians, women and children, were killed after negotiations for peace had started. The act of genocide at the very end of the war in 1995 committed in Srebrenica, Žepa and the surrounding places (Vlasenica, Konjević Polje, Bratunac, Divič and other places in the valleys of the river Drina)–when the evil intentions of the aggressor were completely transparent and known and the guarantee of six countries for the protection of the population in these enclaves was given–proves the case against the irresponsible attitude of the United Nations and the European Community toward the war in Bosnia and Herzegovina. Although the United Nations and European countries wish to clear themselves of the responsibility of actions committed by Phillipe Morillon, Bernard Janvier, Yasushi Akashi as well as other criminals and accomplices to the crime, they cannot clear themselves from the crime that they did not protect the tens of thousands of people who were killed, massacred publicly in front of military and diplomatic representatives of such institutions. Nothing happened until the heartless and perverse second London Conference, held in autumn of 1995, hosted by John Major. That shameful conference was concluded without any sanctions against the criminals; it ended with the announcement that Goražde would not be given to the Serbs since the soldiers in Bosnia and Herzegovina’s army defended it still, which is what the soldiers would have also done in Srebrenica if they had been permitted to do so. These peacemakers are responsible for these victims, and now some shamelessly talk as if there had been no war at all, as if there had been no attack on Bosnia and Herzegovina, as if there had been no aggression and genocide, and as if all sides are equally guilty. These peacemakers, however, must know that political pragmatism and individuals’ subjective will only temporarily determine criteria and opinions and will not change the historical truth, which will forevermore condemn the countries and politicians who played these horrid roles during the war in Bosnia and Herzegovina. If the human community (or any community of countries created by Europeans) shows interest in the truth about its role and what it brought against the people of Bosnia and Herzegovina, it will not be possible to escape this judgment regarding the immoral and cynical politics of the international community, whose leaders were Francois Mitterrand, John Major, Boutros Boutros-Ghali, and their followers till the end of the war.